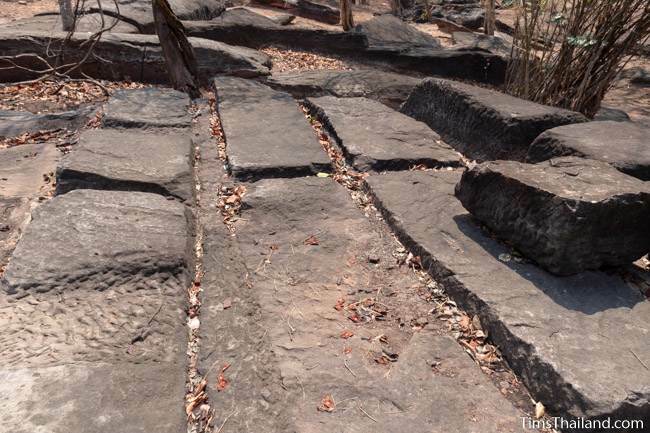 Si Khio Ancient Quarry (แหล่งโบราณหินตัดสีคิ้ว) is in the Phu Phan Formation, which was laid down about 120 million years ago. 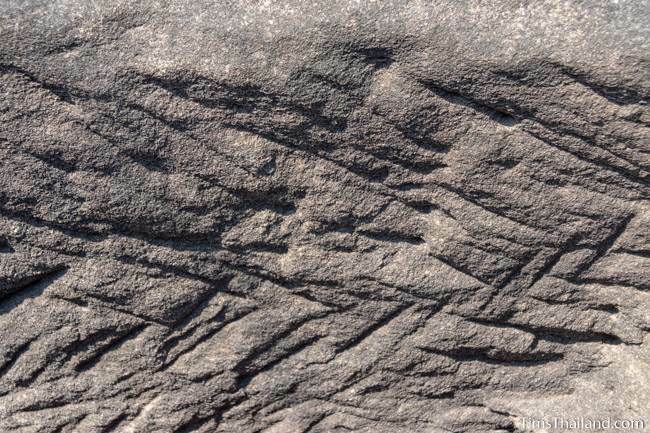 The sandstone here is grey and rather course but lacks conglomerate, making it good for carving. 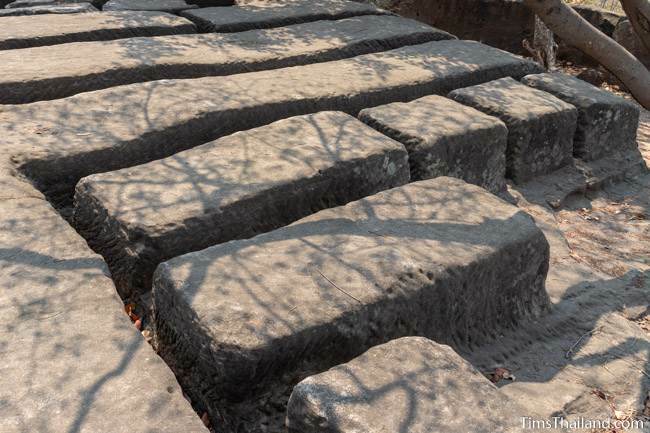 For unknown reasons, work here stopped abruptly so various stages of the cutting can be seen, from the beginning of carving the grooves to make the blocks to a field where all the stone has already been removed. 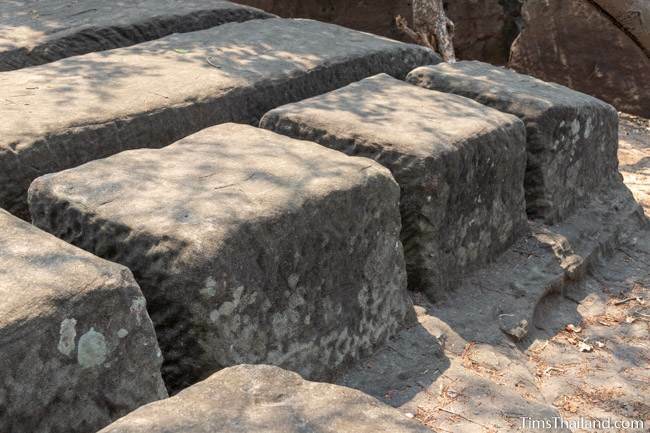 It's assumed that the blocks were separated from the base by wedging wood into the grooves and soaking it with water for several says until the expansion was enough to make a break. 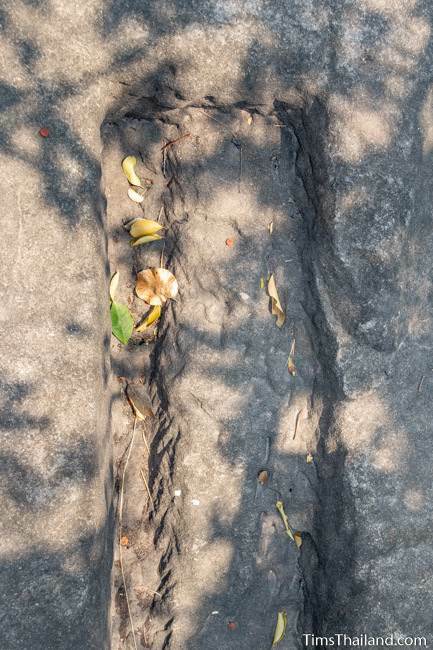 There are also some natural splits in the rock that are fairly straight and almost look man-made, but if you compare these to the obviously man-made grooves there's no mistaking the difference. 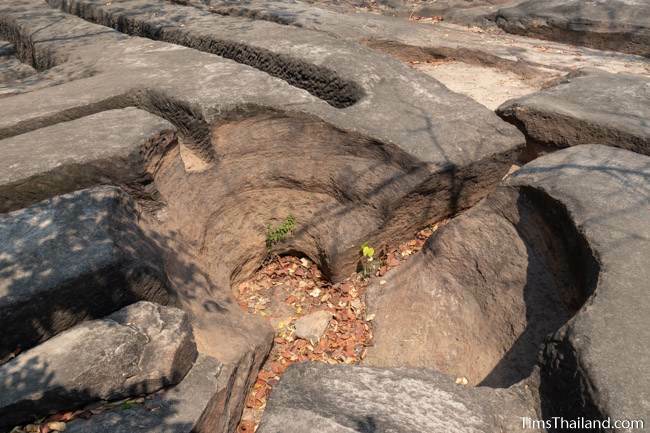 This area has many natural potholes, deep round depressions in the rock formed when sand or pebbles caught in a circular current erode the rock below. 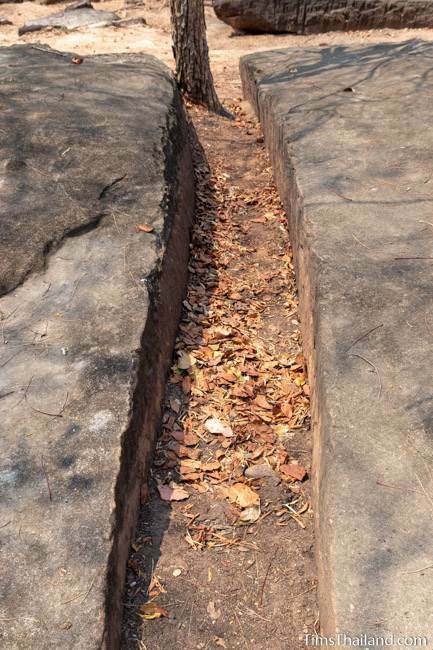 Many sources, including one of the two interpretive signs by the parking area, state that these were round cuttings to be used for lotus-bud tops of towers. 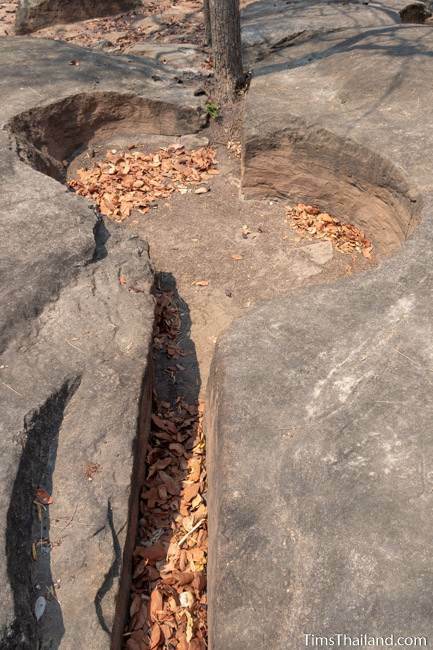 But besides simply looking like natural potholes, their smooth surfaces are very different from the straight cuttings where chisel marks (in various states of erosion) can be clearly seen. 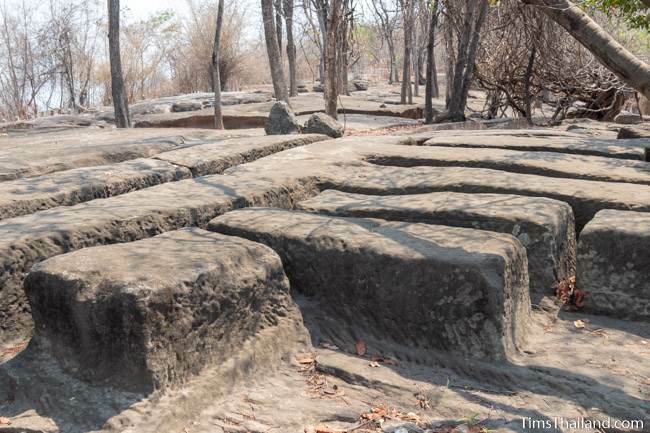 The quarry as it is now covers about 1,000 square meters (everything is inside a roughly 30x30-meter fence) though additional areas were destroyed when the highway was built. 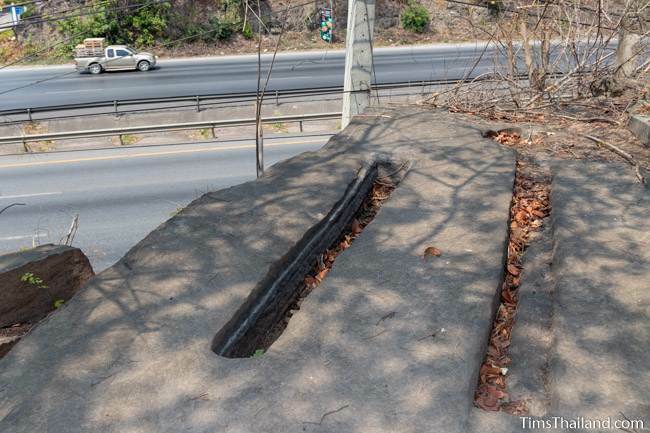 The similar Khao Hin Tat Ancient Quarry (which I intend to visit soon) sits less than a kilometer away across the highway. 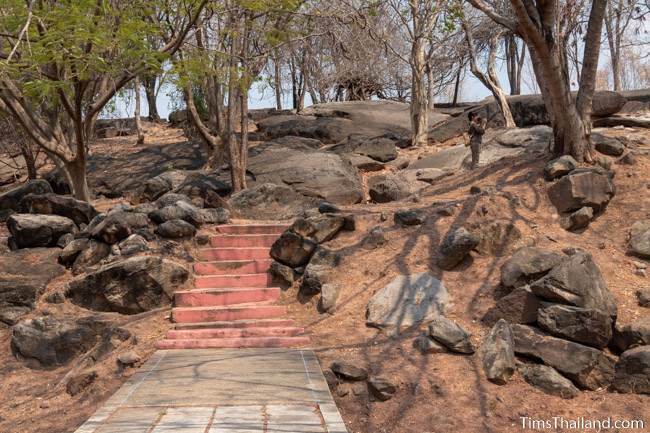 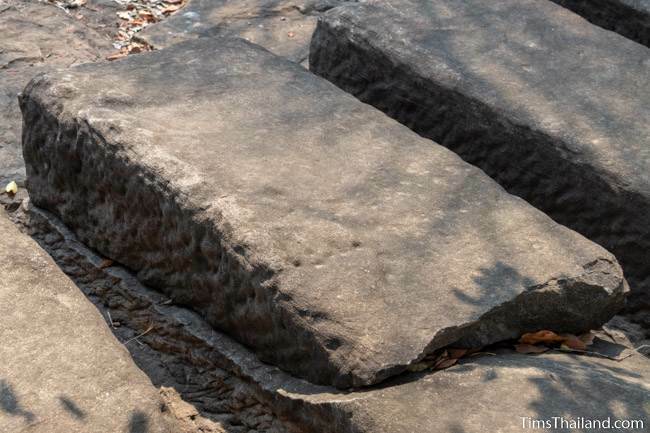 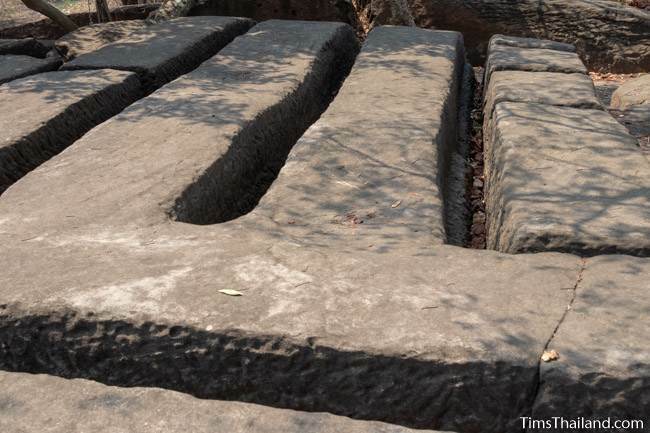 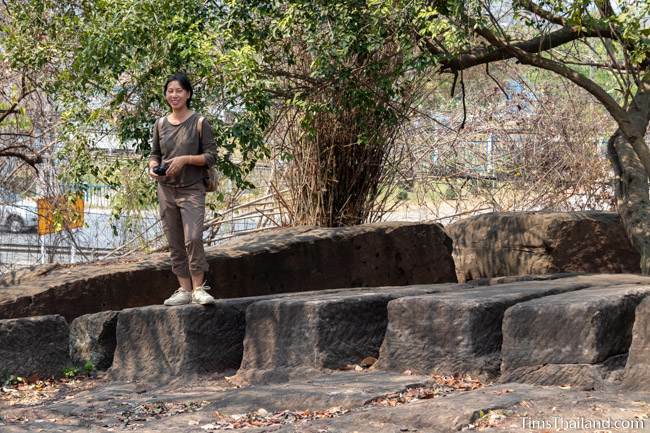 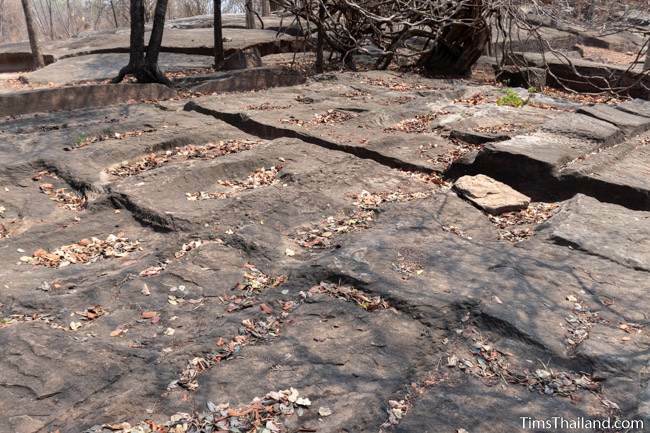 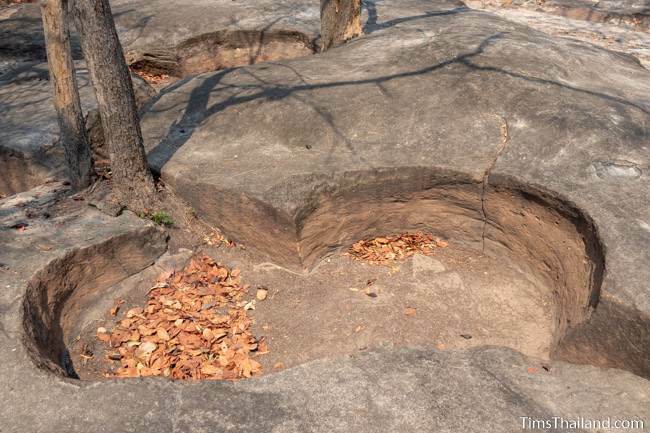 It's a safe assumption that the Khmer used the stone from here for nearby temples including Prasat Hin Muang Kaek, Prasat Hin Muang Khao, and Prasat Ban Bu Yai. 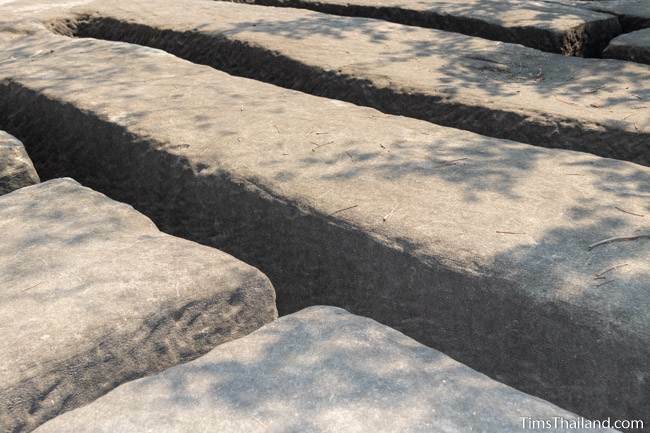 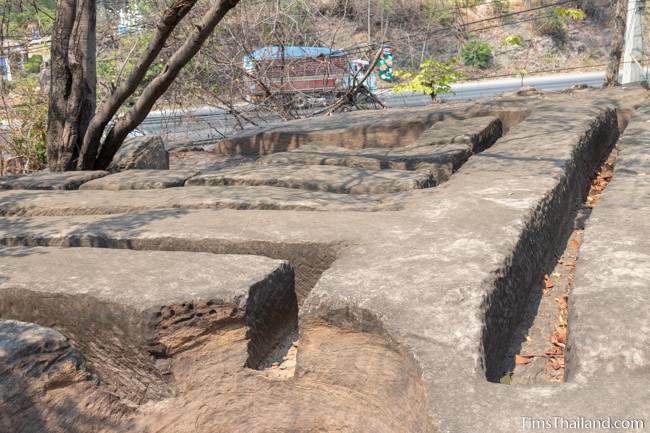 The blocks would have been sent to the building sites on rafts along the Lam Takhong river, which is less than two kilometers north of the quarry.